∆DEEN! : Thank You Korinna Williams! Thiss right here! This is what keeps me going. Not money, fame or the girls. (I mean not gunna lie its a decent , motivator) But its not what inpires me. 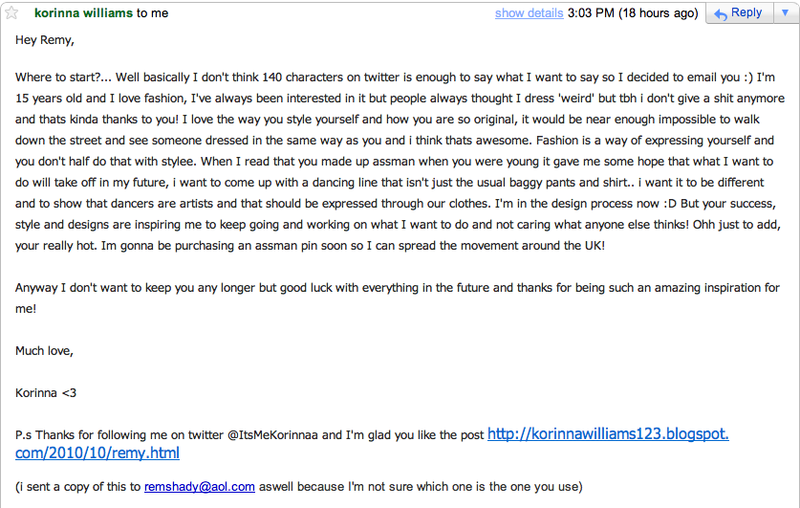 E-mails like this and stuff like this is what inspires me to do what I do and keep going. The fact that I can make a difference in someones life by simply doing what I love and trying to make MY dream come true is poppin beyong imagination. I always read these things like.... damn really? Me? Why me? Why not Ralph Lauren or Marc Jacobs you know? But... I guess I don't see it in myself or what I do because I am me. To those I have made a difference in I truly thank you. It means a lot to me and it inspires me deeply. Wether it be I made you wanna step your dressing game up or wether I had a bigger impact on you, I just wanna let you know it means as much to me as it does to you. Thank You. Thats what its is all about man!!! Well you are pretty amazing, and you've inspired me too!